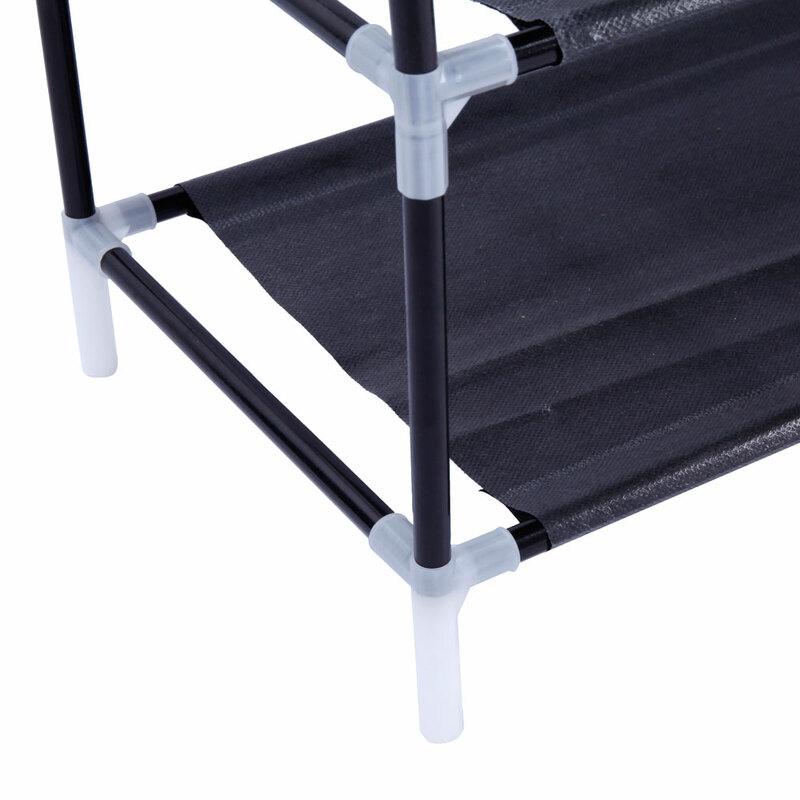 I do believe you must be satisfied with this Simple Assembly 5 Tiers Non-woven Fabric Shoe Rack with Handle! 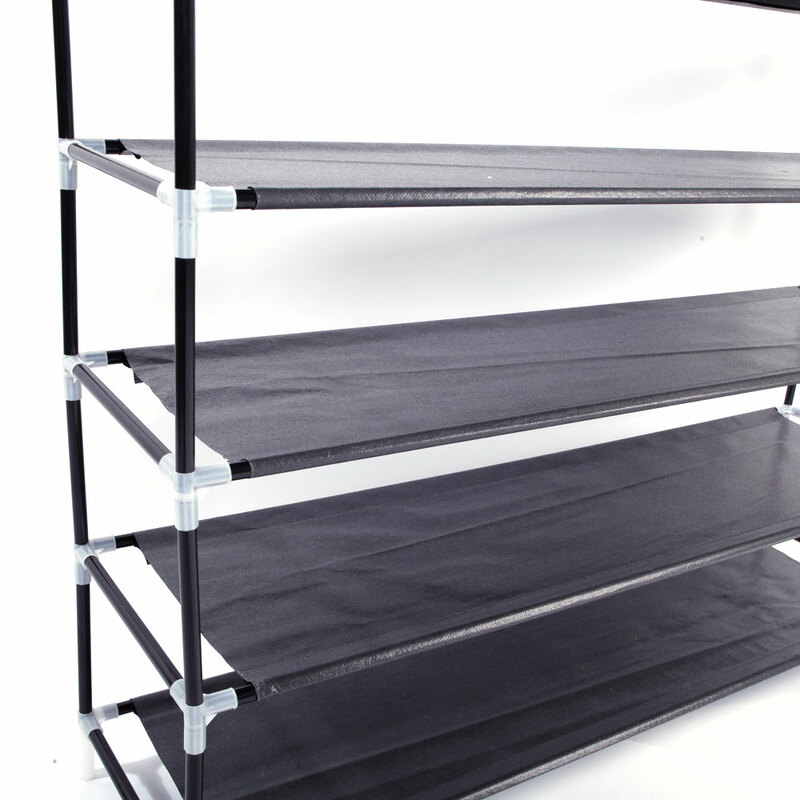 Made of highly superior plastic, metal and non-woven fabric material, this shoe rack, after being well assembled, will ensure solid structure and high durability. 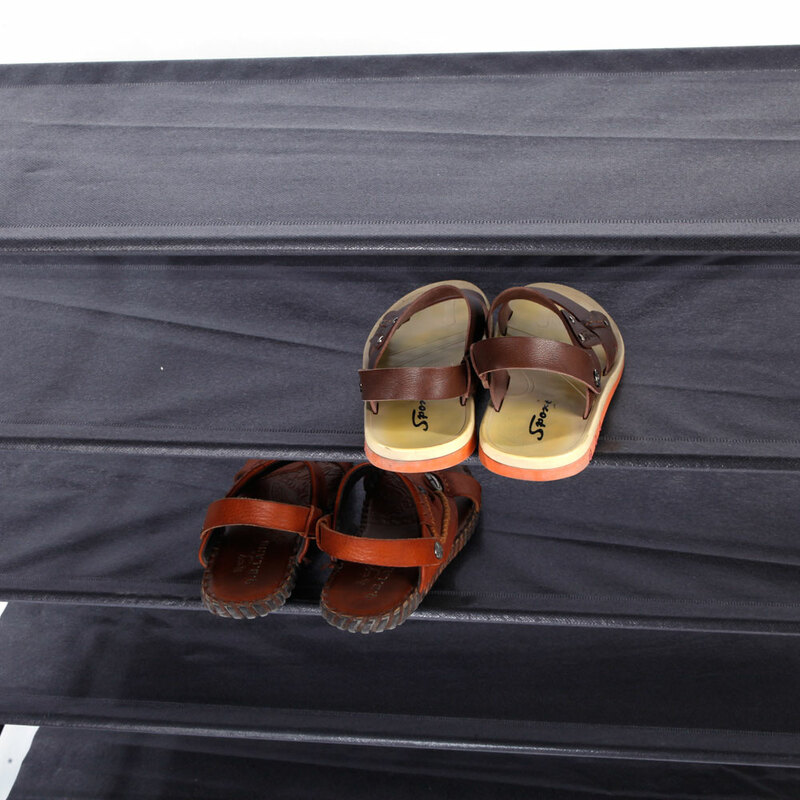 It is meticulously shaped into 5 tiers, providing sufficient and balanced room for shoes. This shoe rack has large capacity. The shoes of a family can be put neatly. It is fashionable and practical. Small house is no longer crowded. The quality is good. Adopting superior fabric, it is thick and solid, easy to install, and it doesn’t occupy too much space. 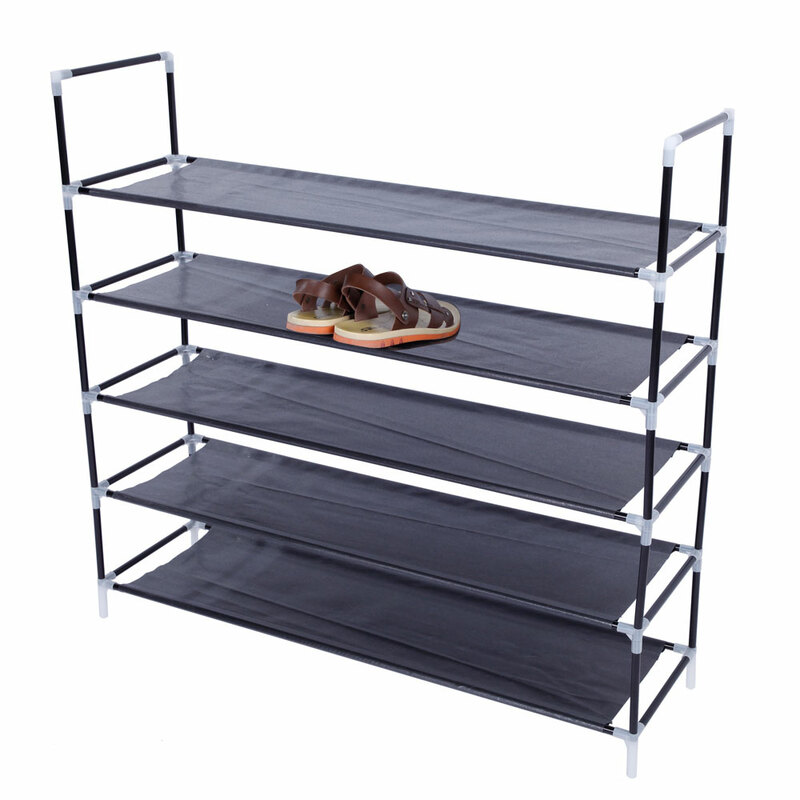 It is the first choice for your home shoes storage. Although not expensive, it looks like a good quality, a great product. 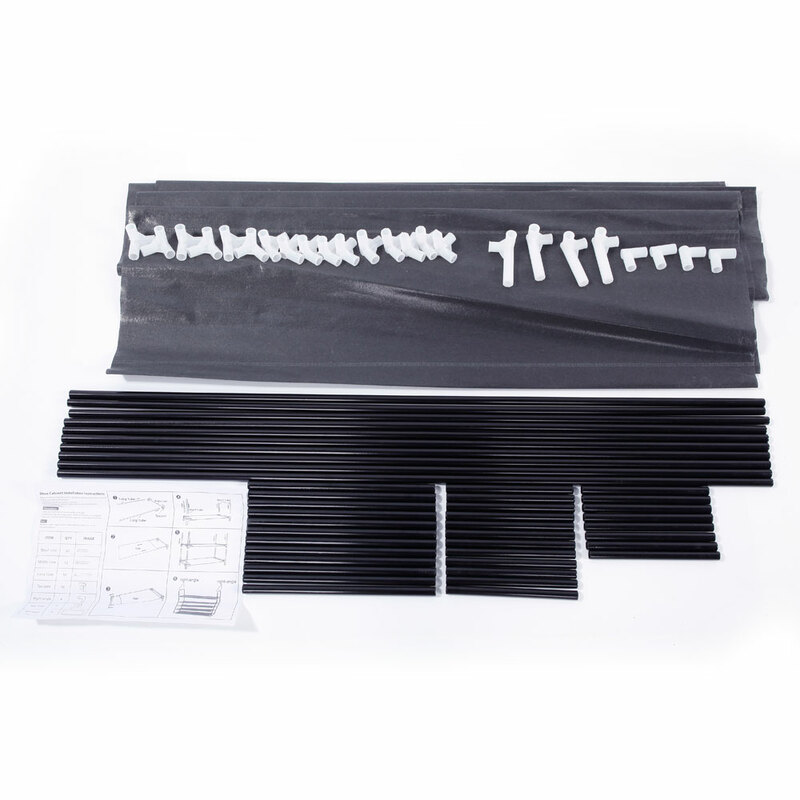 Package arrived on time,thanks for your timely shipping!Pretty easy to assemble,it took about 10 minutes for my 12-year-old son to finish it on his own.We like the clean black,it fits perfectly in the space that we intended it for.